The Chinese have done a LOT of tasty things with soybeans–most notable, of course, being tofu (or, as some say, bean curd). There are a lot of great Chinese tofu recipes you can make at home, though some complain that it tastes like nothing. Well, we say this is the true strength of tofu–it’s so mildly flavored, it takes on whatever flavor profile you add to it. And of course, it’s healthy to boot. When you think of tofu, you probably envision one of those wobbly white blocks that look like something between feta cheese and jello; but there are so many different kinds out there, each with its own texture, flavor, and purpose. Those jiggly white blocks are really just the tip of the iceberg. 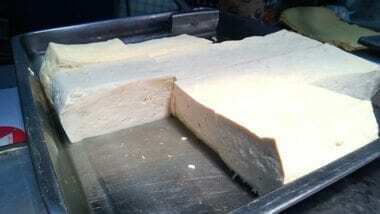 The freshly-made tofu pictured below falls into the category of regular or medium firm tofu and is the most versatile. It is soft enough to be used in soups and steamed dishes, yet firm enough that it can be pan fried or stir-fried without falling apart. The photo below was taken at a local market in Beijing, where a couple made a variety of different kinds of tofu fresh every morning. 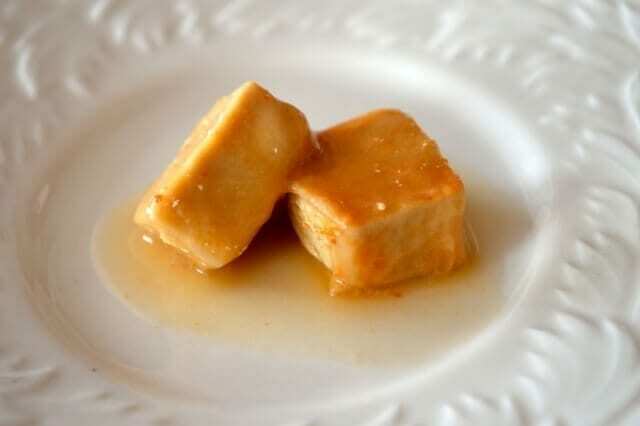 Tofu starts with soybeans soaked in water; then they are ground and cooked to produce soy milk. Eventually, the soy milk curdles (hence, bean “curd”) and is shaped into large blocks of tofu. The first time, I saw this mini-factory, I stood silently observing the seemingly magical transformation from bean to curd, priced even more magically at just 40 cents a block. We’ve found that freshly made tofu in China tastes the best and has the strongest, well…tofu flavor. You can really taste the soybeans in freshly made tofu at the local markets in Beijing versus the packaged varieties you get at the supermarkets. 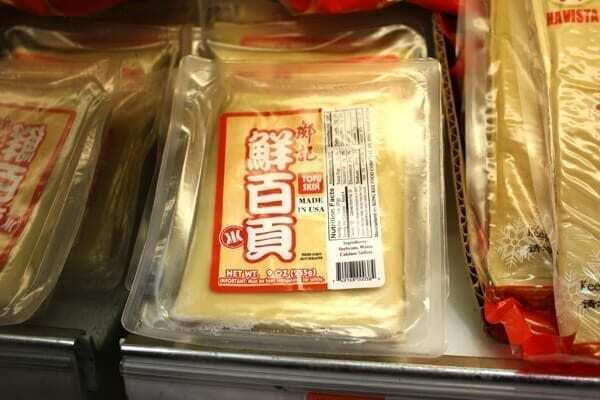 We mention China here mostly because we don’t remember the last time we ever found freshly made tofu in the US–it was probably in Manhattan’s Chinatown years ago. So here’s an introduction to some of the major as well as the not-so-well-known varieties that can be readily found at most Asian grocery stores. The tofu section at an Asian grocery is almost as large and confusing as the dairy section of supermarkets! If you’re looking for more information on other Chinese Ingredients, go to our main Chinese Ingredients Glossary page to review the different categories and easily find what you’re looking for. And if you’ve still got questions after reading this post, just shoot us a comment or drop us an email! As you may have guessed by the name, this is a very soft tofu. It falls apart very easily, so it must be handled delicately. It’s most often used in Mapo Tofu , one of the most popular Chinese tofu dishes here in the US, or cut up into tiny cubes in Miso Soup. Silken tofu comes in either the rectangular plastic white containers, as well as sealed in small boxes (they look kind of like juice boxes) that don’t have to be refrigerated. If you go to Korean grocery stores, you’ll also find it wrapped in plastic tubes. We love silken tofu in mapo Tofu, and we have our Homemade Mapo Tofu recipe and we also have a Cheat’s mapo tofu recipe that uses a ready made spice and sauce packet that is a snap to make! 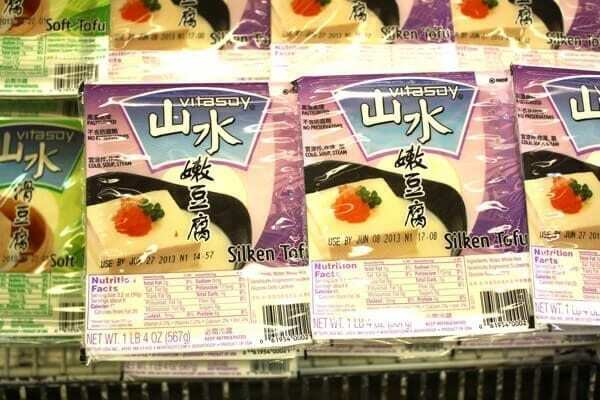 Of course, there is always silken tofu with 1000 Year Old Eggs (SO much better than it sounds). We also have a Spicy Cold Tofu (Liangban Dofu) that is perfect for silken tofu! Soft tofu is very soft but has some body to it, allowing it to be handled and cut more easily. 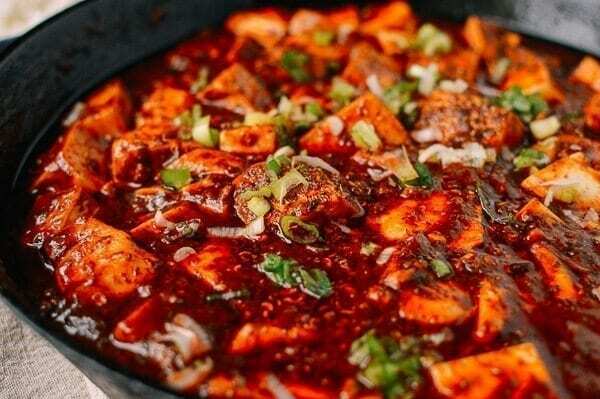 You can use soft tofu for Mapo Tofu also; some like it better than the silken tofu because it tends to hold its shape better during the cooking. 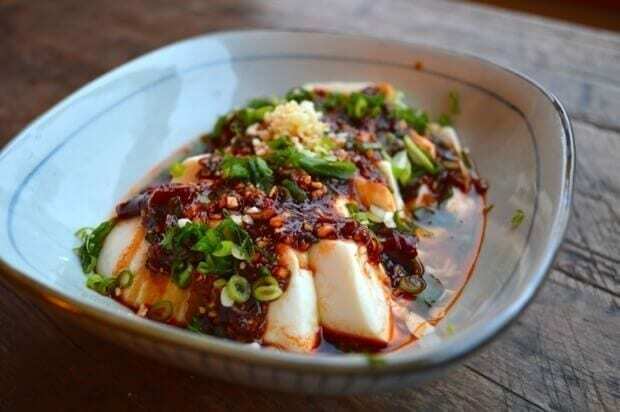 Another dish where soft tofu works well is Hunan Steamed Fish with Salted Chilies and Tofu (Duo Jiao Yu). The soft steamed tofu really pairs nicely with the fish, soaking up the sauce nicely and matching the soft fish. Another classic dish that is one of Sarah’s favorites is the Quick and Easy Braised Tofu (Hongshao Dofu), an easy to prepare and very tasty Chinese tofu dish served over rice! 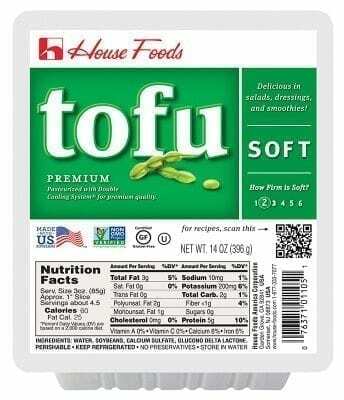 This is one of the most common kinds of tofu and the one that you probably see most often in your local grocery store. It has a wide range of applications. You can pan fry it as a side dish, substitute it for meat in stir fries, or put it into soups and braised dishes. As was the case with silken vs soft tofu, there are dishes where both regular/firm or the soft tofu would work and there are some dishes where regular tofu works better and is easier to handle. 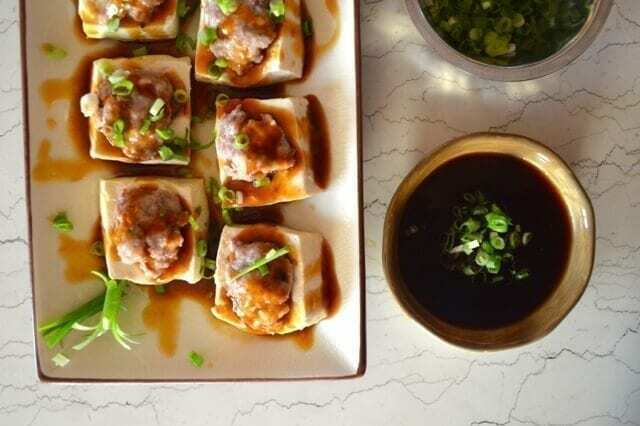 A good example is Hakka Style Stuffed Tofu where the regular/firm tofu works best. 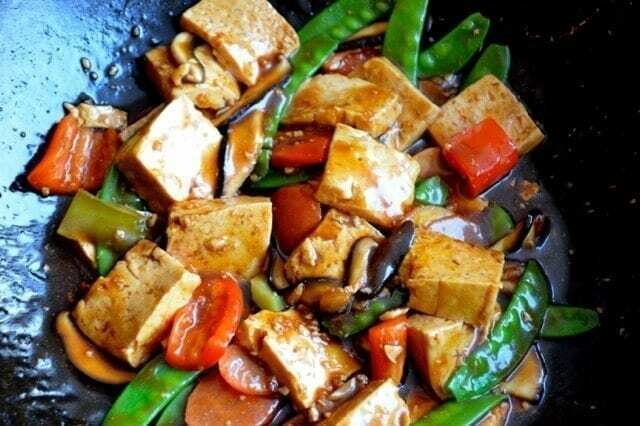 Extra firm tofu is the simplest of tofus to deal with, as it’s best for applications like pan frying or grilling. 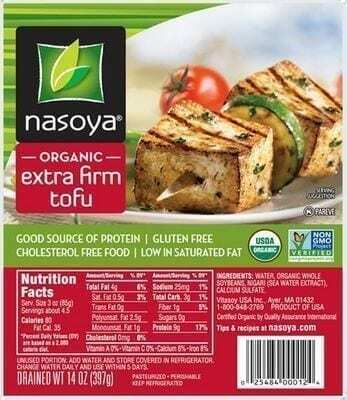 We use it for our Spicy Griddled Tofu “Steaks”. You may also want to use the extra firm for Loaded Crispy Tofu Tacos! Pretty simple. Use this when you want something that can withstand lots of handling and high temperatures! 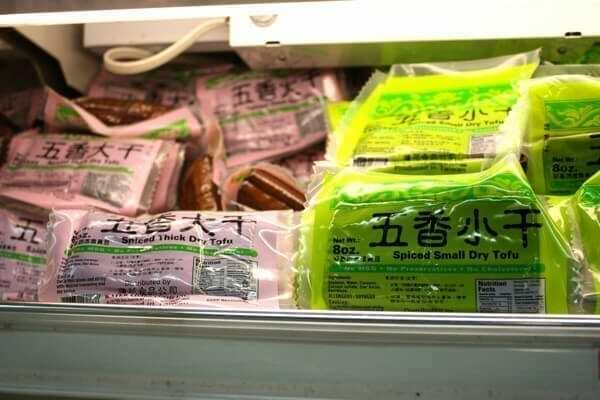 It comes in vacuum-sealed packages and is most commonly labeled “Spiced Tofu” but it almost always is five-spiced tofu (五香豆腐干, wu xiang doufu gan). It has a dark brown outside and a whiter inside and is made in smaller blocks no more than 3/4-inch thick. It’s usually thinly sliced or cut into small cubes. From there, you can eat it raw, tossed with a little sesame oil, white pepper and soy, or thrown into a wok full of vegetables for a stir fry. Check out one of our early recipes from Judy – Jen’s Tofu Stir-Fry, and be sure to get some spiced tofu for your hot and sour soup! 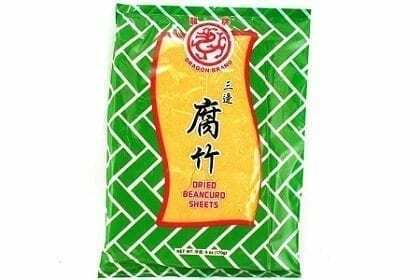 Spiced Dried tofu also comes in milder flavors that are vacuum packed in brine and light seasoning. We bought this vacuum packed seasoned tofu in Shanghai. There are many choices of seasoned tofu you can use in stir fried and cold dish but we like this type of milder seasoned tofu for the classic Shanghai Ma Lan Tou Spiced Tofu dish. 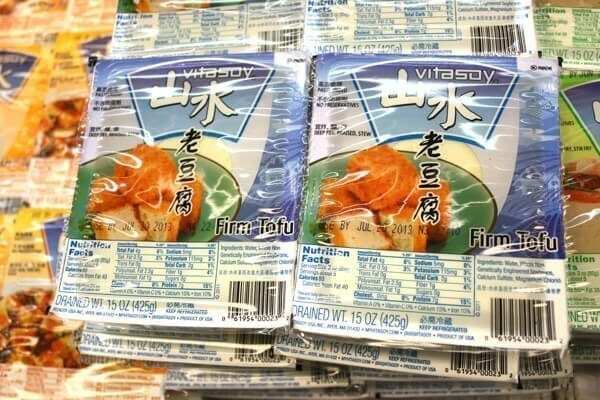 This type of tofu is compressed into thin sheets. In the US, this is often pre-packaged, but in Beijing, we loved buying it fresh, just a few sheets at a time. We most often chiffonade them for stir-fries, but there are plenty more creative ways to use these tofu skins. Judy’s mother makes “gold bars” around Chinese New Year, which are tofu skins rolled with a veggie-pork filling, kind of like a healthy spring roll. You thought zucchini noodles were the cutting edge…These tofu noodles are somewhat similar in texture to tofu skin, but are cut in the shape of thin noodles and have a denser texture. The actual translation of is shredded tofu or 豆腐丝 (doufu si). We cook them with vegetables, a bit of pork, and lots of long hot peppers for a yummy tofu noodle stir fry. We also have a tofu noodle salad in our recipe archives as well. Readers feel free to request recipes for this ingredient if it looks interesting and you can purchase them near you! Shredded five-spiced tofu or 五香豆腐丝 (wu xiang doufu si) come in slightly different forms than the tofu noodles shown above. The texture is similar but everyone has their preferences to a particular brand and form factor so check them out at your local grocery store. 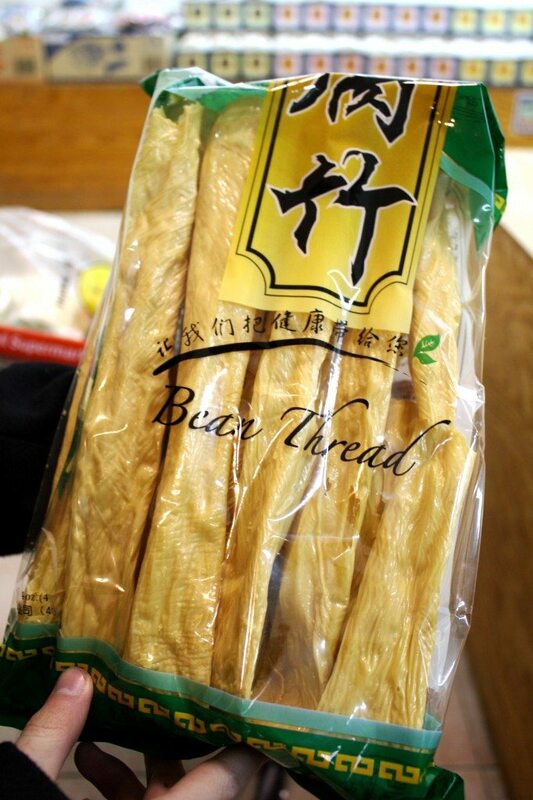 Bean threads or dried bean curd sticks are made from cooking soybean milk until a film forms on the top. The film is then lifted with a stick and hung to dry in large sheets or rolled/folded to dry as 腐 竹 Fǔzhú. 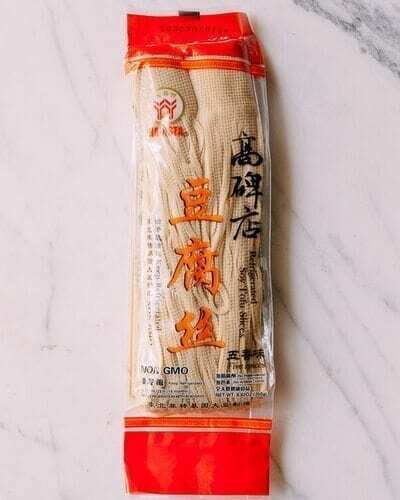 The English name on the packaging is “Bean Thread” perhaps short for “soybean thread” but if you’re familiar with buying Chinese products, English translations can be confusing. Fǔzhú or a variation of it is also known in Japanese cooking as dried yuba sticks. 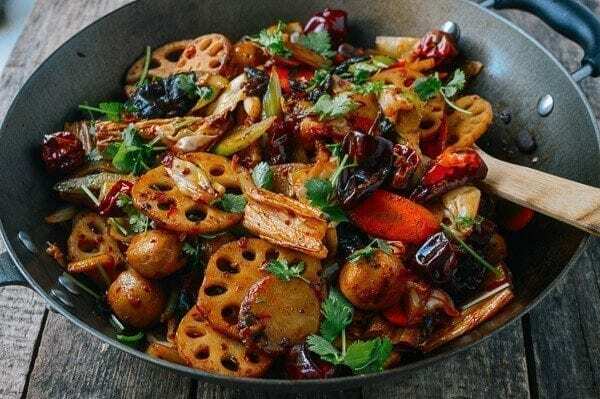 Fǔzhú is a bit more eccentric and may be intimidating for the first-time Chinese chef but we need to use them in more of our recipes because they are delicious like tofu with a slightly chewy texture. Fǔzhú (Mandarin) or Foo Jook (Cantonese) come dried and need to be soaked for a couple of hours or overnight before cooking. You can see a variation of the translation from the packaging from these photos. 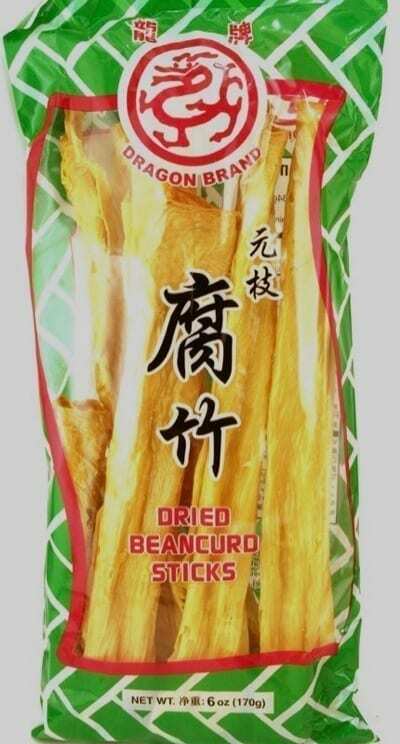 Bean thread or dried bean curd sticks? Now you have a photo you can take to your local Chinese grocery store to ensure you buy the right ingredient! If we’re in a lazy mood, we just stir fry them with vegetables, but they are absolutely delicious with braised pork or in a hot pot. If we were vegetarians, we would be eating a lot more bean threads on a regular basis, but, even to a non-vegetarian, they are quite tasty and have a great meaty texture to them. You can see how we cook them in one of our favorite dishes, Ma La Xiang Guo (Spicy Numbing Stir-fry Pot). These golden puffs of deliciousness can be found in the refrigerated section of the Chinese grocery. They come in various shapes, including triangles, squares, and cubes. With each shape, you’ll get a slightly different texture. 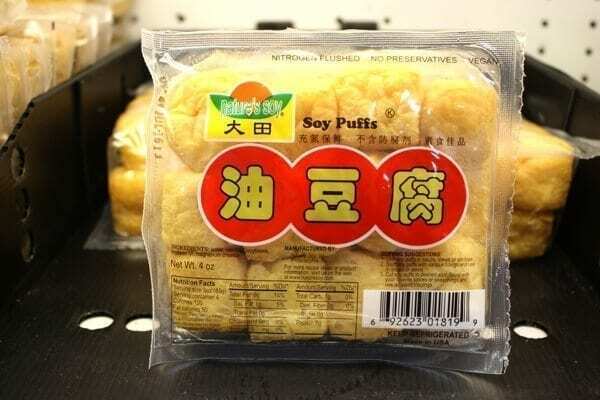 To make things even more fun, they’re usually labeled as “soy puffs.” Who doesn’t wanna eat a little puff of soy deliciousness? Sometimes Asian stores offer locally prepared fresh fried tofu which basically is deep fried firm tofu. 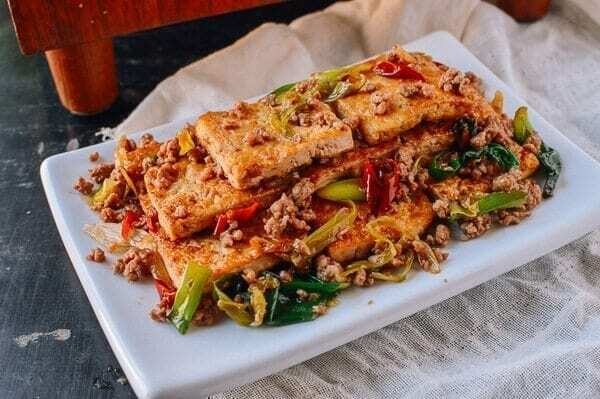 Fried tofu prepared this way is firmer than a soy puff, but is still great in many of the same dishes as what you would prepare with soy puffs–mainly stews and stir-fried dishes. So if you can snag some of the freshly made stuff, we recommend trying it! 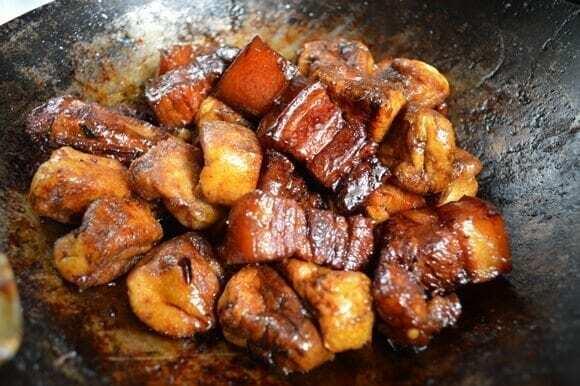 Just throw a pack of these into any braised pork belly dish like Shanghai-Style Braised Pork Belly (Hong Shao Rou) or Red Cooked Pork (Hong Shao Rou): Grandma’s Version, and they’ll soak up all that delicious braising sauce. Bite of pork belly… a bite of white rice… bite of soy puff… bite of white rice… bite of pork belly – get the pattern? You just can’t go wrong with grandma’s version of red cooked pork! These are a thin tofu skin folded and tied into little knots. They’re primarily used in braised dishes or soups, as all the flavor of a sauce or soup they’re cooked in gets caught into the little folds of each knot. 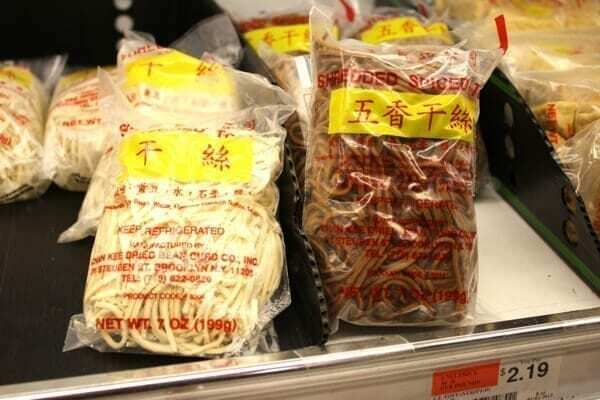 You can find them pre-made in the Chinese grocery store’s refrigerated section. These tofu knot can be easily added to any braised pork dish like our favorite Shanghai-Style Braised Pork Belly (Hong Shao Rou or these tofu knots also go great in soups. See how these tofu knots are used in the Shanghai classic Yan Du Xian Shanghai Pork Soup with Bamboo & Tofu. 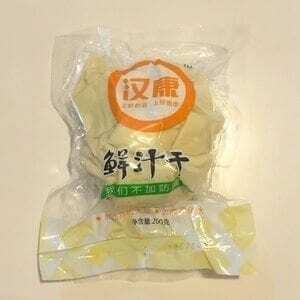 Dried Bean curd sheets are also also known as Tofu Skin (fǔ pí) 腐皮. These sheets are rehydrated in water before use in soups, stews, wraps and dim sum dishes. If you’re lucky enough to have a well stocked Asian grocery store nearby then definitely get the fresh ones as they are much easier to work with and taste much better. This is used not as a main protein, but as a flavoring agent. It’s one of the funkier Asian ingredients, but you can find it if you know what it looks like. It comes in many different types and variations, but the most common categories are white and red. They come cut into small cubes and packaged in jars. They are usually eaten with rice congee at a traditional Chinese breakfast meal. To be upfront with all you lovely readers, this is one of those ingredients that could have been featured on Fear Factor, as its appearance and consistency can be a little…off putting. Fermented foods tend to have that effect. But, in all honesty, it’s really delicious and lends an amazing umami flavor to anything you add it to.Once opened, they must be kept refrigerated, and will keep almost indefinitely. 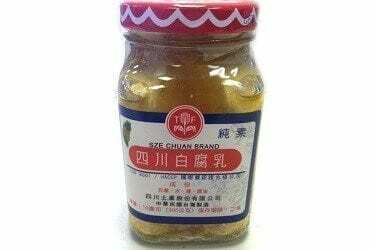 We tend to use fermented bean curds more often in marinades like Fried Chinese Spareribs and for all types of dishes including vegetable stir fries. Red bean curd is a type of preserved bean curd (also called fermented bean curd), that consists of cubes of bean curd that have been preserved in rice wine, fermented red rice and other seasonings. 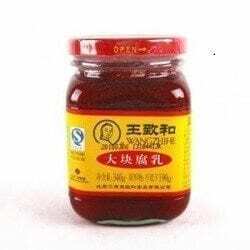 The red fermented bean curd is more often used in stews and braised meat dishes due to it deep, rich flavor but is also used in vegetarian dishes like Buddha’s Delight (Lo Han Jai). 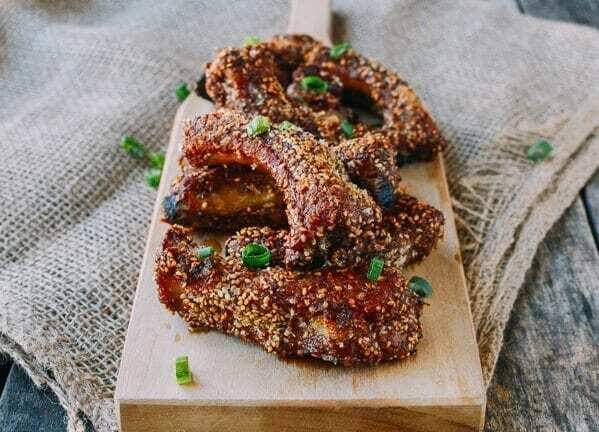 It’s also essential in one of our early recipes, a party favorite at our house, Fried Chinese Spareribs. If you have never had either of these, try them, and you’ll be addicted instantly to the flavor that this fermented red bean curd adds to your food. See how this rich ingredient is used in our flavorful Chinese Ribs w/ a Sesame Crust. 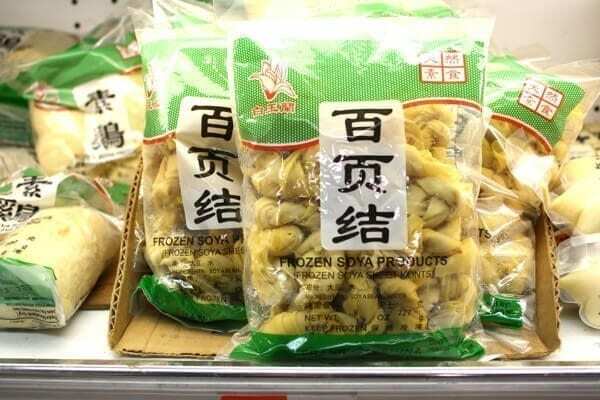 The white fermented bean curd has a more delicate flavor and is most often eaten with rice congee in southern China. 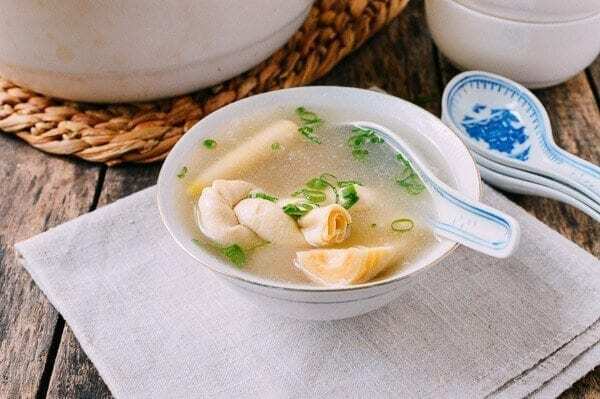 It used to be considered a poor man’s food, because during tough times, when meat and even vegetables were scarce, people would eat their congee with fermented bean curd as a daily staple. We love taking a few small cubes of this stuff out to have with our morning congee! 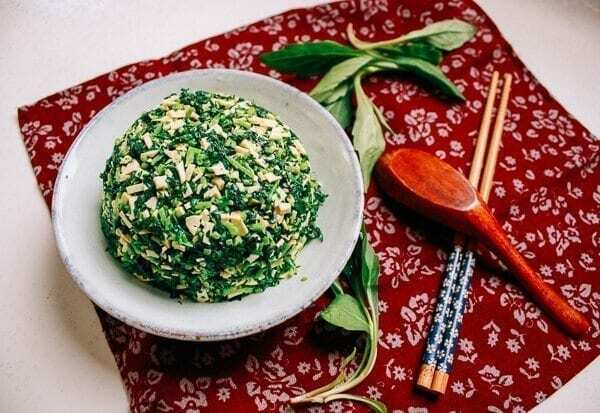 Most vegetable dishes that call for fermented bean curd use this white bean curd, and it is almost always what you will get when ordering stir fried leafy green vegetables with fermented bean curd in restaurants today. 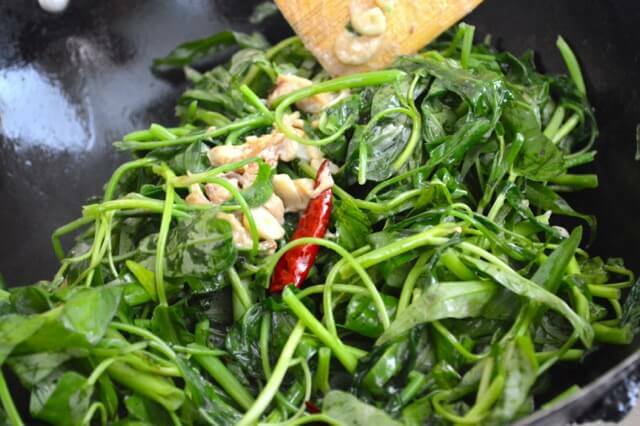 See how we use this white fermented bean curd in our Water Spinach stir fry. This was so very helpful. I had no idea that tofu was so versatile. I have recently been diagnosed with coronary vascular disease and am looking for healthier ways to improve my diet and spice it up a bit. I don’t have a lot of skill in the kitchen, could you suggest a beginner recipe that I might try with lots of veggies? Thanks oodles, I appreciate it. Hi Floretta, it sounds like you may have had a vegan chicken made from tofu and/or wheat gluten. Try Judy’s recipe for braised vegan chicken! 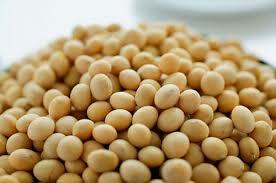 Does anybody know if the soybeans that are used to make tofu in China are grown in China? (I find it unacceptable when manufacturers use soybeans and other raw materials from South America and other lands in which the large-scale destruction of tropical forests and other natural ecosystems and the extermination of plant and animal species continue to take place and/or which are the result of genocide against indigenous peoples). Using the internet, I found that China imports a lot of soybeans from South America. I live in Croatia and buy tofu that is made from Croatian soybeans but some brands claim to use soybeans from China; I just hope that they are not originally from South America but repackaged in China. Hi there. I just picked up two bags of tofu knots (frozen). I’d like to use them in a vegan dish. Have you got any ideas for me? I use the vegan chicken recipe a lot but was looking for something new. Thanks!! Hi Dominque, we usually use the tofu knots in braised pork belly or in soup, but since you are looking for a vegan dish, I suggest that you cook the same way as my braised spring bamboo shot. Just so you know, if you don’t plan on braising it for a long time, you should pre-soak them in warm water for like 5-10 minutes. For longer braising time, you don’t need to pre-soak them, I do like the slightly chewy texture. Okay great! Thanks very much. Can’t wait to try them. Keep the vegan recipes coming, by the way! I’m always trying them out! Hello! Thank you for this post. But may I know where can I buy a raw chinese tofu? Your reply is very much appreciated. Thank you very much. 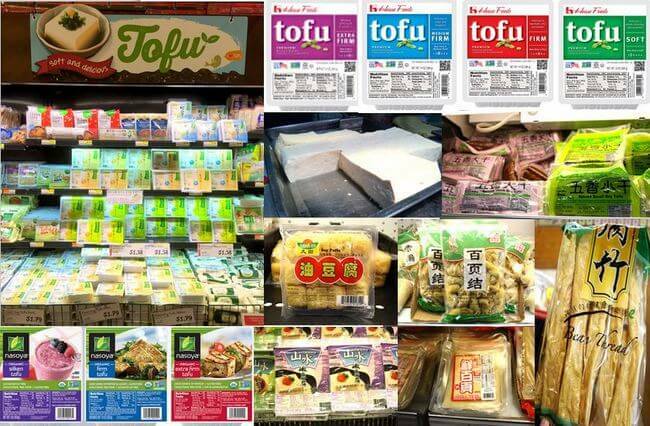 Hi Regine, if you are in the States, most supermarkets sell fresh tofu. Even Super Walmart carries fresh tofu. Good luck! Thanks for this post. It’s very helpful. I was able to find tofu noodles in my local market. Can you share your recipe(s)? Hi Chelsea, We have one tofu noodle stir fry recipe and a Chinese tofu salad recipe in our collection but we need to do a few more! You have the most education website regarding ingredients and recipes I have come across. Please continue your very helpful site. Thanks for your kind comment Gail. We’ll do our best to carry on! Can you recommend the right tofu for making stinky tofu? I’ve never made it, so any recommendations and helpful suggestions would be appreciated. Thanks. 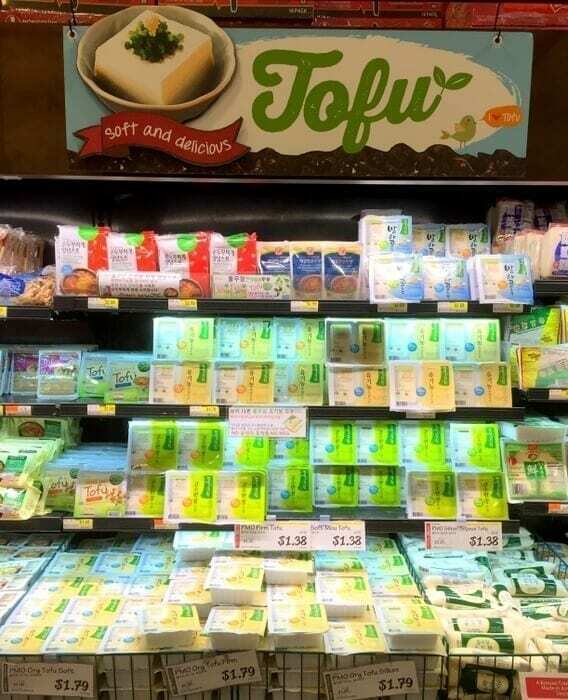 Hi Johanna, I don’t know how to make stinky tofu，but I believe you have to use firm tofu. found fish shaped “bean curd” in vacuum pack in local asian market..what can i do with it? Hi Sharon, I believe they have a golden finish which means they are fried. You can use them any way you want, in stir fries like Dry Pot Cauliflower or other dishes like and , or in a hot pot.